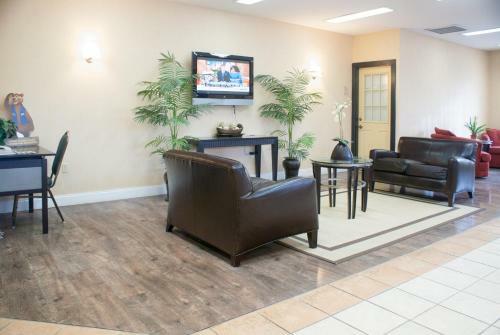 With perks like free Wi-Fi free full breakfast and free airport-area shuttle the Hampton Inn & Suites Jacksonville Airport lands guests in the lap of affordable luxury. 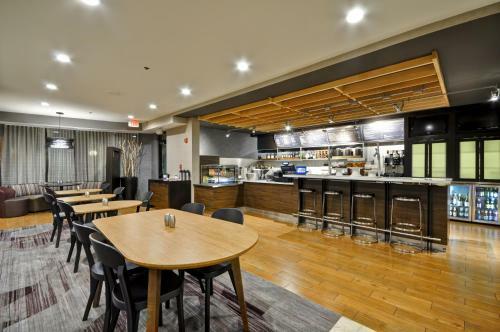 A 120-room five-floor hotel the airport-area Hampton Inn & Suites is anything but a crash pad. All accommodations include the stuff dreams are made of: Cloud Nine Beds with ultra-white light and fluffy duvets and crisp linens washed fresh for every guest. Free Wi-Fi refrigerators and microwaves add to the in-room comforts and kitchenettes and pull-out sofas make life sweeter in suites. 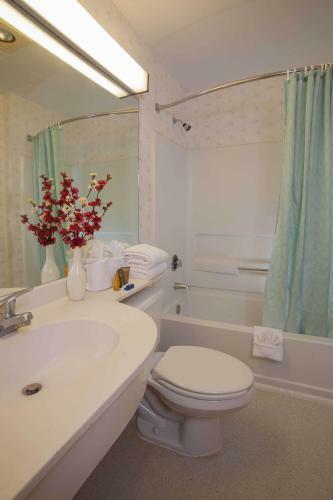 Welcome amenities include an on-site 24-hour Suite Shop with naughty and healthy snacks and microwavable tasty meals. Sit down to a full free breakfast buffet with those famous French toast sticks and other goodies. Stay on track thanks to the outdoor pool business center fitness center and better yet free 24-hour airport shuttle (that also runs to the area's newest outdoor mall-dining-destination). Let's hear it for convenience. 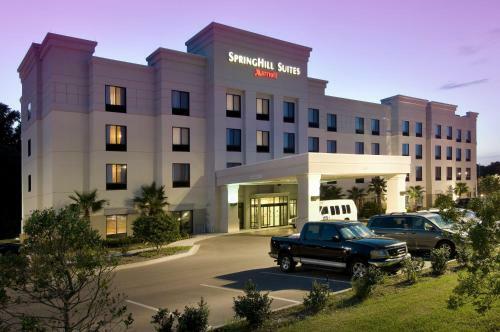 This Hampton Inn is less than a five-minute ride to Jacksonville International Airport and right in the center of restaurant central a short stroll to tried-and-true casual and upscale chains. Among the corporate offices just a two-minute drive: BAE Systems Biomet Microfixation Coach Mercedes-Benz and Smurfit-Stone. Jacksonville Zoo and the Port of Jacksonville are less than a 15-minute trip and downtown Jacksonville is a 20-minute ride down I-95.